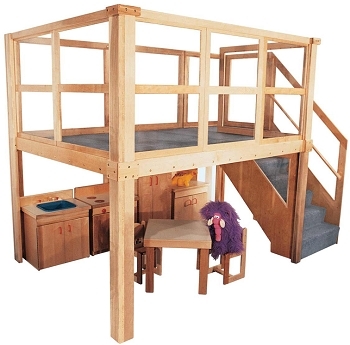 Strictly for Kids Deluxe Explorer 10 School Age Loft, expanded size. This large structure will be the envy of any school age program. 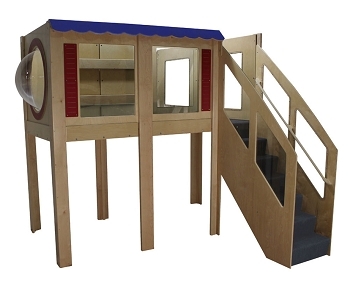 It is the ideal solution to accommodate a large group of school age children and add plenty of space to your environment without undergoing a construction project. 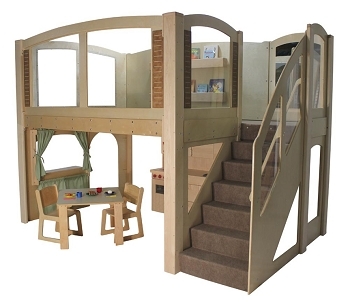 Includes 2-book display panels, 1-mirror, 2-bubble panels, steps with handrail and fully carpeted (not shown). 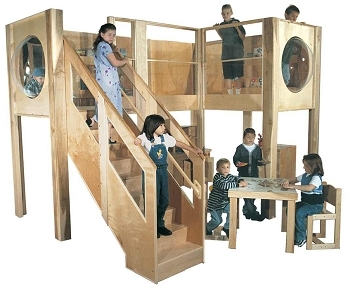 Designed to fit into a corner, with unbreakable Lexan windows throughout for visibility. Contact us for free customization. Expanded Size, 193"wx182"dx105"h, 60"h deck. 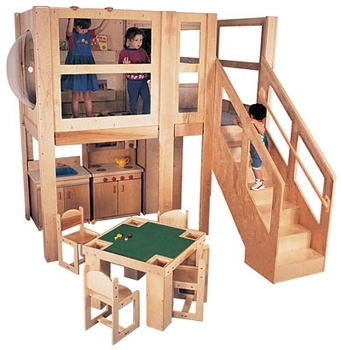 Easily assembles in 2 to 2-1/2 hours. Lifetime warranty.